January 10, 2017 – ODL, Inc., a leading building products supplier of decorative and clear doorlites, will introduce Blink™ Blinds + Glass, its new blinds-between-glass, insulated glass (IG) panel for windows, at the 2017 International Builders’ Show (Booth S1800). Now available through more than 80 well-known window manufacturers, Blink offers an intuitive, easy-to-use modern alternative to traditional blinds that merges innovative design with homeowner safety and convenience. “Being an industry leader in blinds-between-glass for more than 20 years, we know from experience that builders and architects want flexible design options while providing peace of mind and convenience to homeowners. Blink offers the best for both,” said Ken Jordan, National Sales Manager at ODL. Blink is available in six blind colors (white, tan, sand, espresso, slate gray and silver moon) and custom sizes up to 80”. Its Low-E and dual Low-E glass options reduce the amount of ultraviolet and infrared light that enters a home, keeping spaces cool and more energy-efficient. Each panel is assembled in America and comes with a 10-year full warranty. 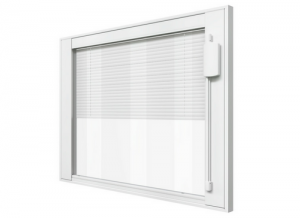 ODL has been the industry leader for the blinds-between-glass category for more than 20 years. Headquartered in Zeeland, Michigan, ODL continues to innovate and build value into building products for customers across the United States. A full list of manufacturers using Blink panels in their windows is available at blinkodl.com.